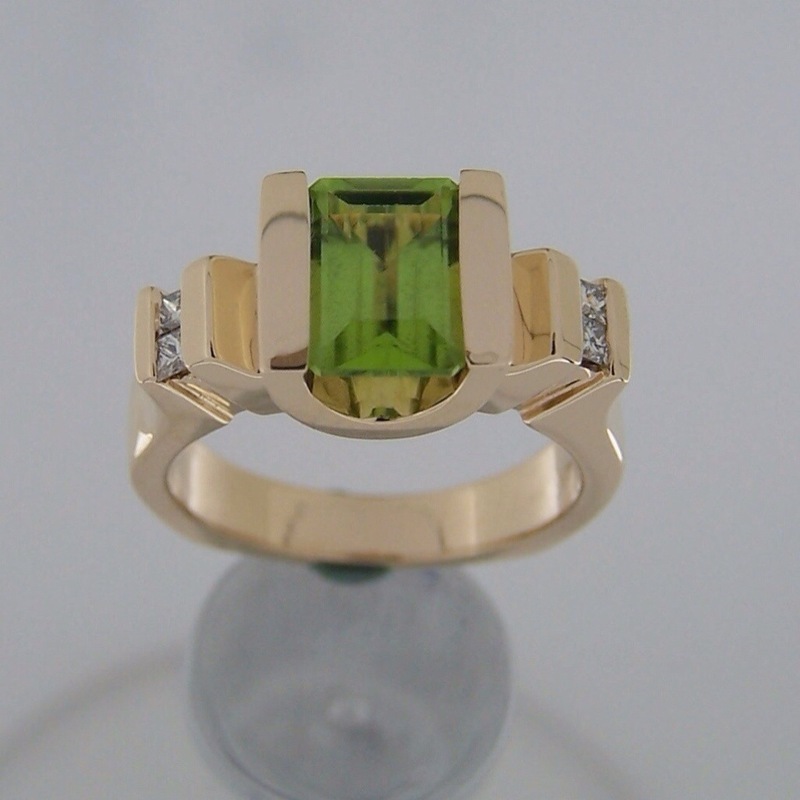 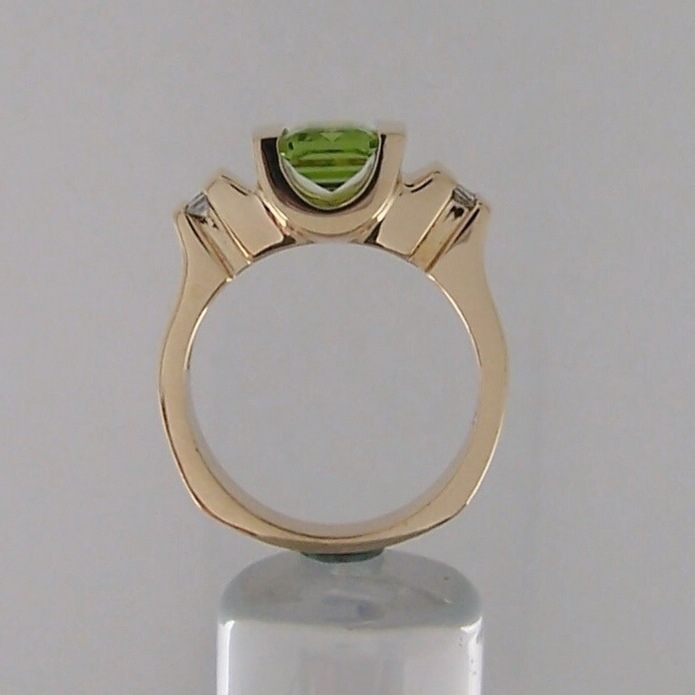 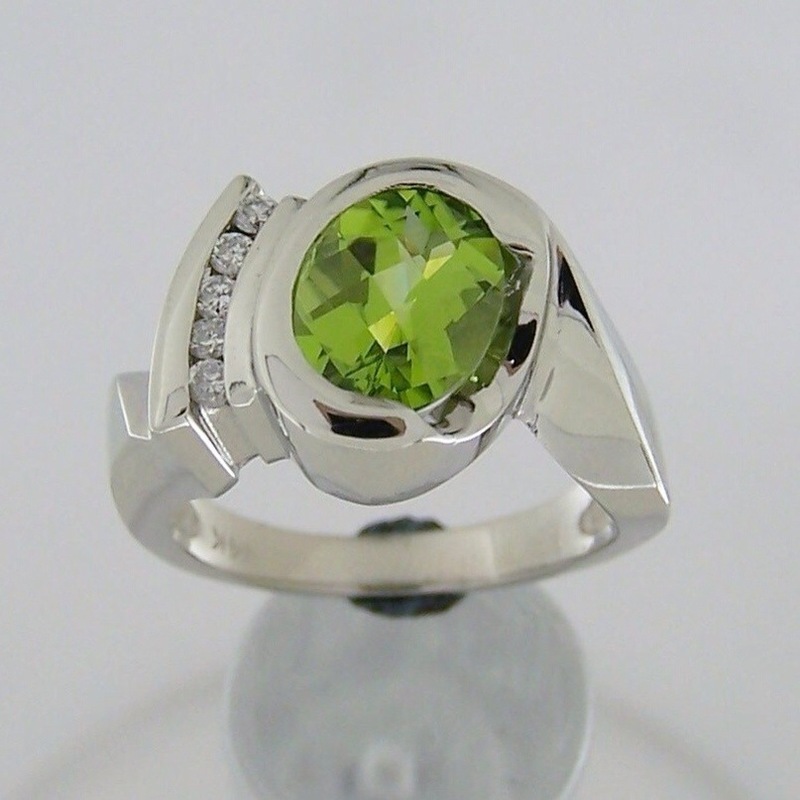 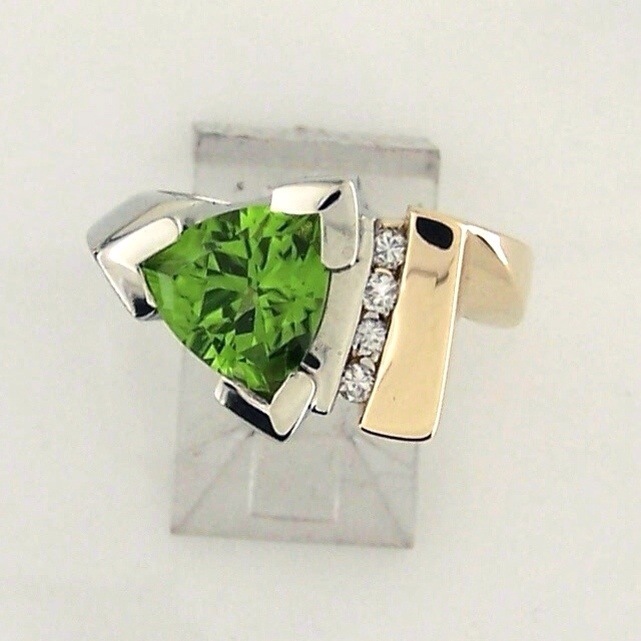 Here are a few peridot custom pieces that we made. We took a new spin on mother’s rings. 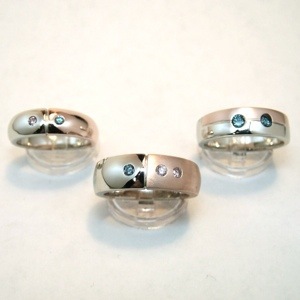 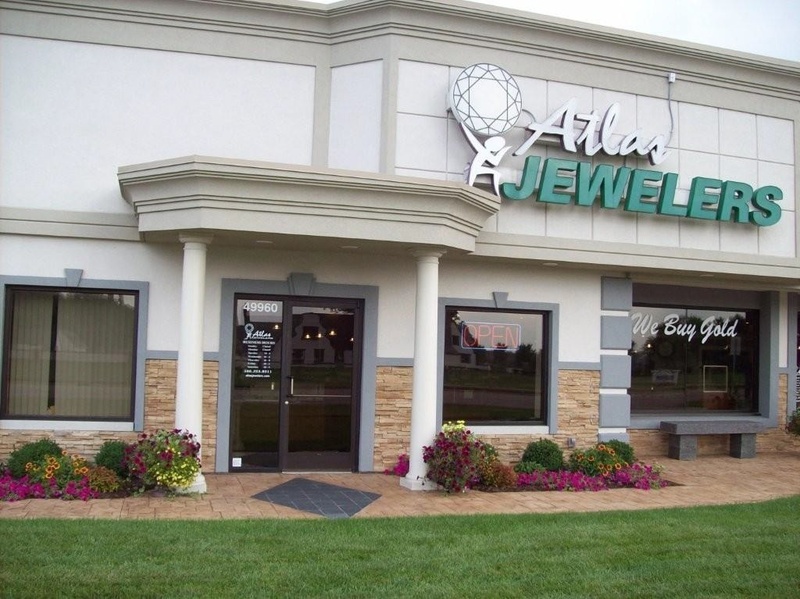 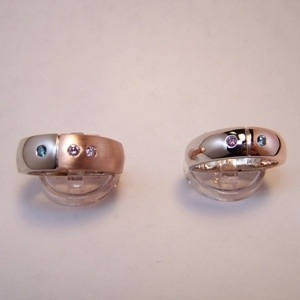 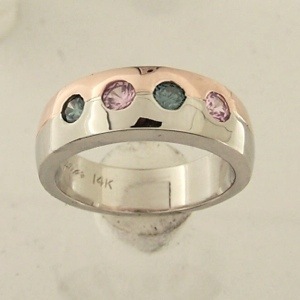 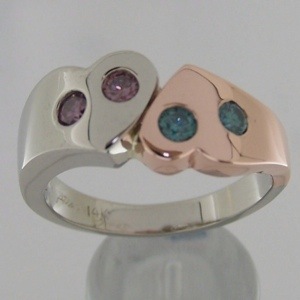 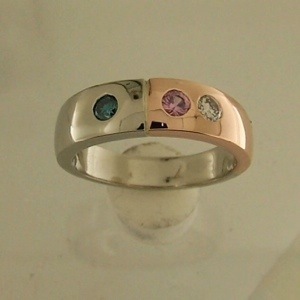 We started with 14K pink gold and 14K white gold ring and instead of using the traditional birthstones for each child, a pink diamond is used for a girl and a blue diamond is used for a boy.